Many runners who've spent years running "serious" road and track races tend to look suspiciously on the recent growth and popularity of trail running events. After all, how can you possibly set a new PR on a course that offers hills, uneven footing, narrow trails with little room for passing and even—gasp—non-certified courses? 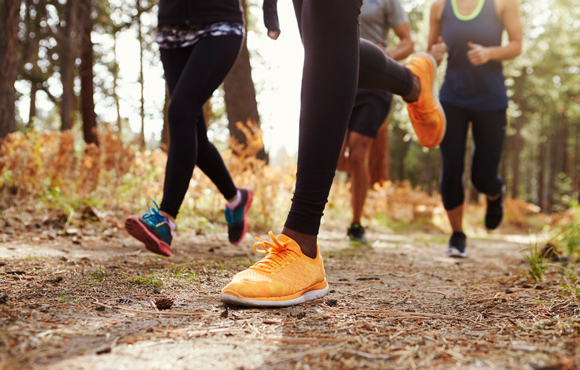 Even training out on the trail may seem a bit too casual, after all, serious runners should be out on the track or measured road courses where you can keep track of your pace and time and compare the efforts, right? Injuries are the bane of every committed runner. 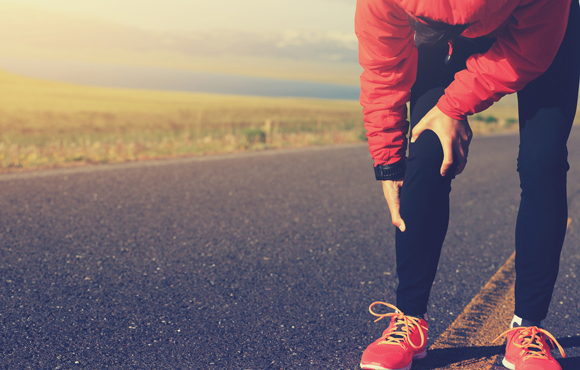 There's nothing worse for a runner (or anybody who lives with that runner) than being injured and unable to indulge in their favorite pastime. Trail running surfaces are much softer than the asphalt or concrete you'll find when running around town. Softer surfaces mean fewer injuries, not only due to lower impact forces, but also because you'll build more strength in the muscles that help stabilize your lower leg. These muscles help absorb impact forces and provide more support—no matter what surface you're running on—and that can add up to fewer injuries. Studies show that running on uneven terrain causes you to take shorter, quicker strides and land more on the forefoot than the heel. These adjustments are helpful when you're running on any surface. Shorter strides, a faster stride rate and mid-foot landing requires less energy and allows for faster acceleration than heel-toe running with longer strides. Just as important as the physical benefits, trail running is mentally relaxing as well. 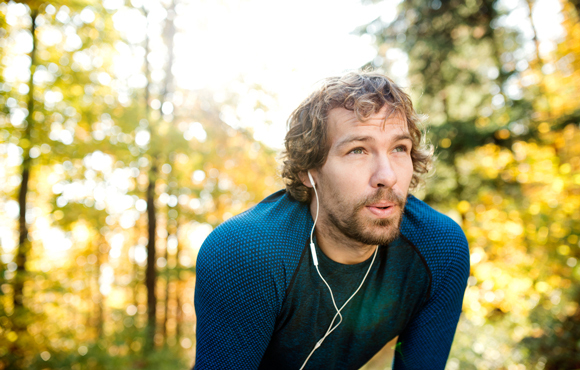 Running in the woods certainly beats chugging around the asphalt jungle in town, and when you're running the trails, there's less stress about your time and pace. It allows you to enjoy your run, which is a major component in maintaining consistency in your training over time. For those who decide to try trail running races, the decreased emphasis on times can be just the tonic if you're a typical runner obsessed with performance who beats yourself up over your race times. The difficulty of trail running courses and the variability in distances gives you "permission" to run a bit slower than you would on the roads and this can help you relax and focus on other aspects of racing, such as tactics, learning to manage your effort and learning to run by feel, regardless of what your watch may be telling you. Trails are usually off-limits to motor vehicles, so you don`t have to worry about taking a deep breath of carbon monoxide every time a car goes by. Some studies have actually shown an increase in cardiovascular disease among those who exercise in a high pollution environment. The abundance of trees out on the trail provides a more oxygen-rich environment, gives you adequate shade during hot weather, and offers shelter from the wind in colder climates. All of which makes for a faster, more enjoyable run at any time of year. For those of you most concerned with improving your times, rest assured, trail running can make you faster. Most trail running involves hills and lots of them. Running uphill makes you stronger, it's actually the most efficient form of strength training for runners since it uses all the muscles you activate when running on flat surfaces, but builds greater strength due to the increased resistance. Actually the Kenyans and Ethiopians who dominate the elite levels of the sport are the ultimate trail runners. They run hills and soft surfaces every day and many count hill training as one of their secrets to success. Getting off the roads and on to the trails is one of the best things you can do for your running. 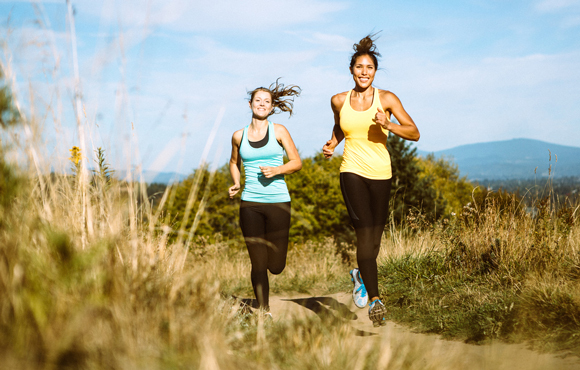 Whether you`re aiming to enjoy your running more, build your strength or run faster times, trail running can be an enjoyable and relaxing addition to your running program. 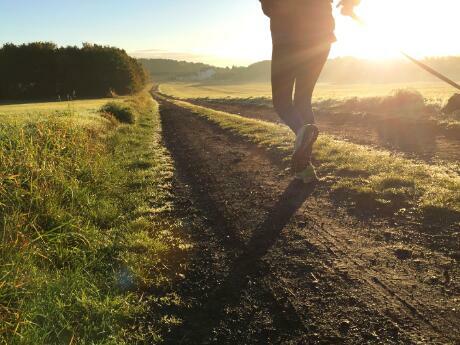 Should Runners Log Miles on Dirt and Grass?